I don’t know much about this instrument, but given CDM’s readership, I expect our collective knowledge should say something (not to mention some of you speak the language). 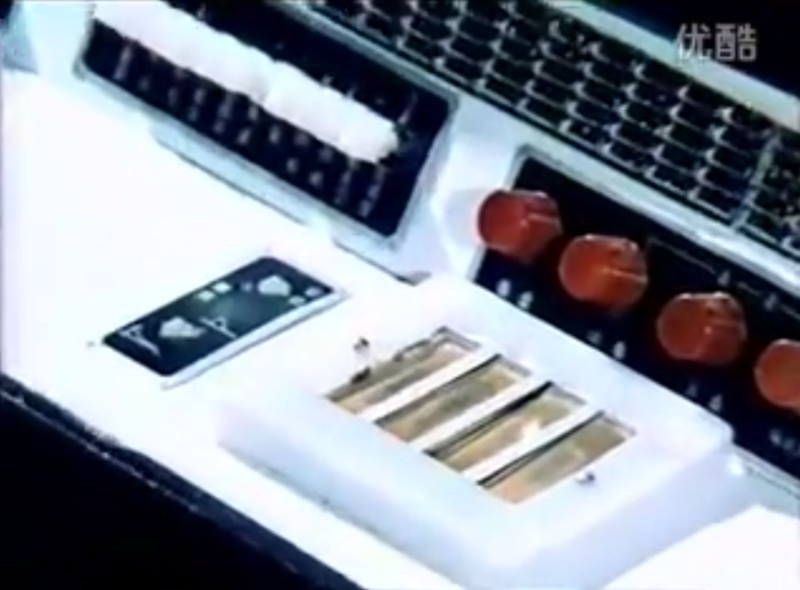 But according to the video, it’s the work of Tian Jin Qin, a ribbon-controlled analog synthesizer first prototyped in 1978 and featured here in a documentary movie entitled “Dian Zi Qin / 电子琴” (1980). There’s some irony to the fact that a simple touch instrument was something driven underground in China just one generation ago. Now, of course, China leads the world in manufacturing touch interfaces, has been the center of a global revolution in touch-powered smartphones (based loosely on the same principle, even), and even drives a significant portion of today’s technological innovation. But… even without getting into that, this design is freaking great. It’ll make you immediately wonder why a single ribbon design is so popular, when the ability to finger multiple ribbons, fretless style, both relates to traditional instrument designs and allows more sophisticated melodic playing and expression. Like… you’ll watch this video and want to go build one right now. The Chinese twist, though, is really the upright, fretless touch interface. This instrument is as subtle and sophisticated as Keith Emerson’s ribbon controller for the Moog wasn’t. Zithers are among the most ancient of instruments across a range of cultures, as antecedents what we’d now consider both southeast Asian and European musics. Someone following the narration here or with background in Chinese instruments (which I largely lack) could say more, but it seems inspired by instruments like the guqin. That family of instrument can be plucked or fingered with glissandi (or played with a slide). The electronic rendition here simplifies a bit by using 4 metal strips whereas Chinese classical instruments can feature more strings. So I will indeed put this out to CDM readers. Anyone out there who’s done research on this creator or knows about this instrument? Anyone built something like this? For all the turbulence of our modern time, one thing I believe can keep us out of a Dark Ages is the fact that we are more connected globally than ever, or at least potentially so. From the walls around China and the east to the former Iron Curtain, we’re discovering that a lot of the people kept unknown to those of us in the West were pretty ingenious. And maybe we get a second chance to learn from them and share. Correction: One commenter reports in fact this wasn’t secret in the least. Post-Cultural Revolution China in fact modernized and… well, let me do some proper research and follow up with a whole story here, ideally with some help from Chinese colleagues!